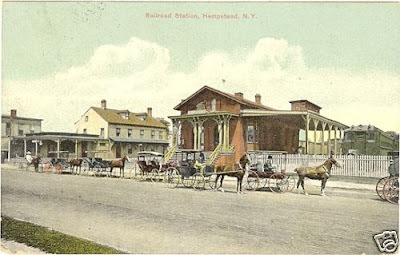 The Hempstead railroad station, 1909. What a pity it isn't around any more ... is it? I hate today's soulless stations.